Developed for professional guides. Includes scales in both kilometers and miles for USA, Alaska, Canada, United Kingdom, Japan, New Zealand and Europe. :1:20,000; 1:24,000; 1:25,000; 1:30,750; 1:50,000; 1:62,500; 1:63,360; 1:100,000; 1:125,000 and 1:250,000 (miles). Also contains ten slope indexes, compass rose and UTM readers. Measures 4" x 7". 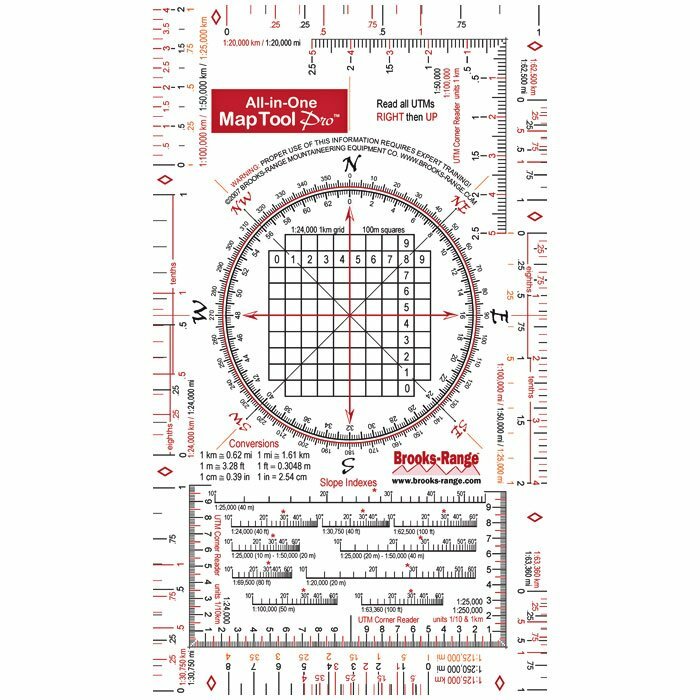 Designed to meet or exceed USGS standards for accuracy to 1/50th of an inch.